Hamilton’s appointment to VC 3 recognizes the excellence of his lengthy veterinary career, spent almost entirely in his home province. He grew up on a small farm in central Saskatchewan before attending the University of Saskatchewan’s Western College of Veterinary Medicine. There, Hamilton earned three degrees, including Doctor of Veterinary Medicine. 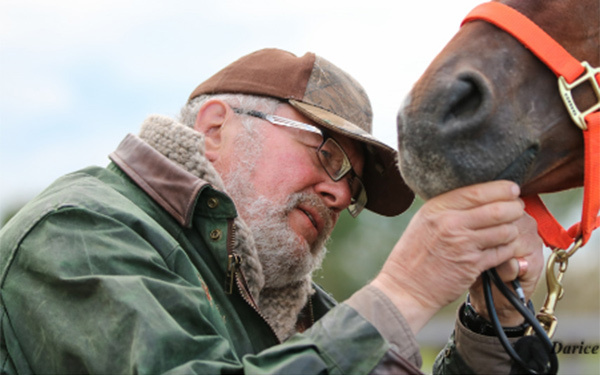 Hamilton has now taught at his alma mater for almost four decades, and currently holds the position of Professor Emeritus in the Department of Veterinary Biomedical Sciences. His research focus on equine renal and acid/base physiology and ion channels is directly applicable to the assessment of competition horses and their health. It was at the University of Saskatchewan where Hamilton’s colleague, Dr. Patricia Dowling – an avid endurance rider herself – introduced him to the sport. Hamilton was immediately drawn to the biological challenges of endurance, which led to his eventual certifications as a 4* Official Veterinarian in Endurance, a 3* Endurance Veterinary Treatment Official, and an FEI Permitted Treating Veterinarian. Veterinary responsibilities vary greatly between disciplines, so Hamilton’s specialized background has made him a sought-after veterinary resource in the endurance world. Hamilton will work with the VC 3 President, Foreign Veterinary Delegate, and nine other members to determine if each horse competing at WEG is fit to continue. The collaborative nature of the commission helps to ensure not only that the horses receive the best care, but also that evaluation standards remain consistent across all competitors. EC would like to congratulate all four Canadian WEG officials on their appointments. More information on the 2018 FEI World Equestrian Games can be found here.